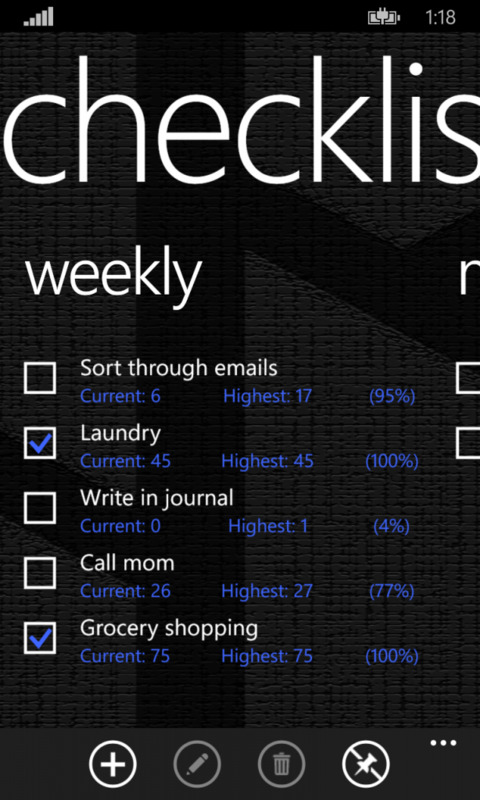 Keep track of the things you need to do by creating tasks that should be completed daily, weekly, monthly, or anytime! 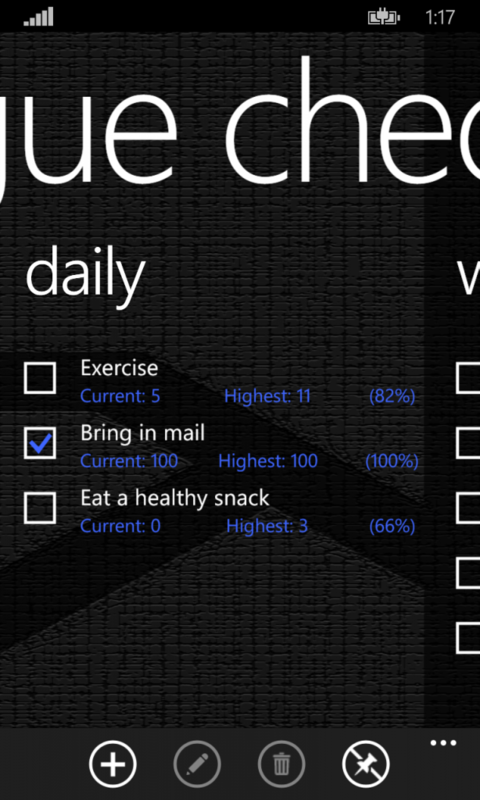 With Rogue Checklist, you will be able to keep track of your progress on each individual task. 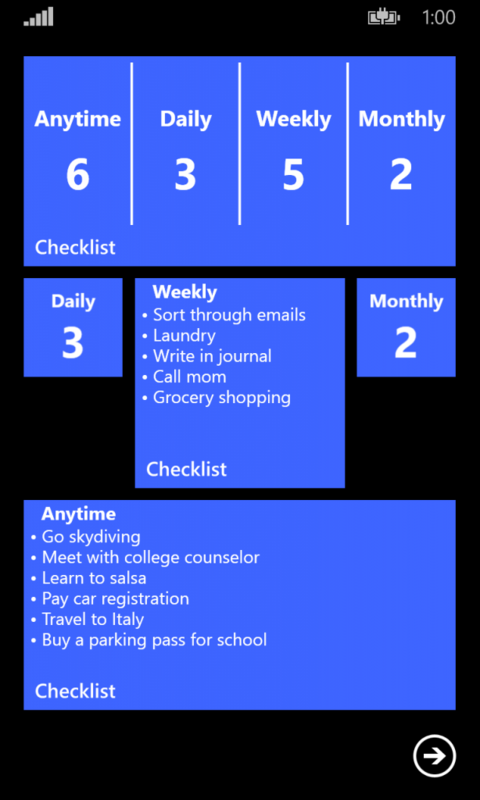 Check off tasks you’ve completed and the app will automatically keep track of your completion percentage, current consecutive completion streak, and your highest consecutive completion streak. 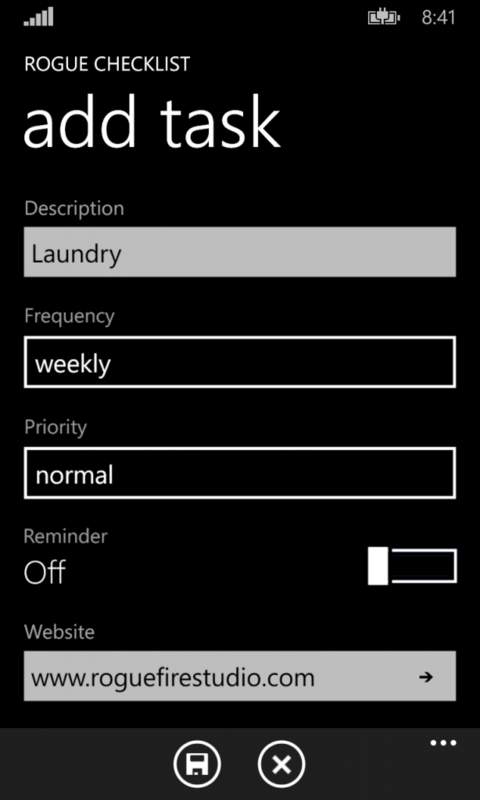 Share a website link with the app so you will remember to revisit it later. 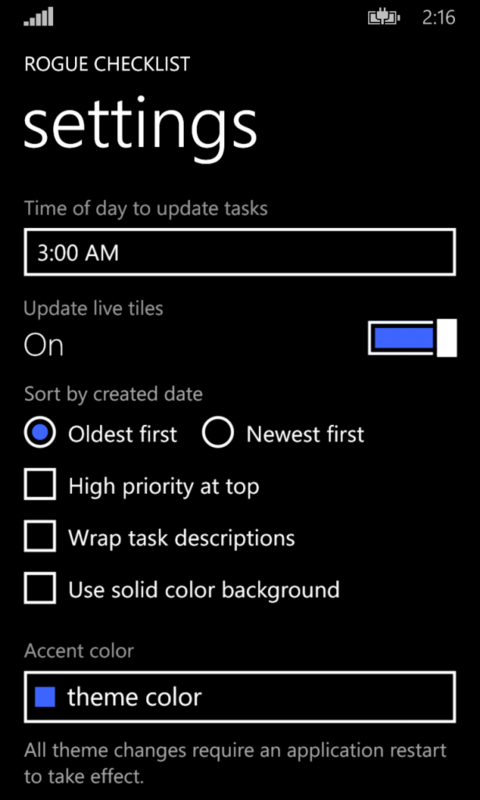 Set reminders for your most important tasks so you can be alerted when you need to complete them. Live tiles can be pinned to your start screen to make it easy to see what you need to do every day. 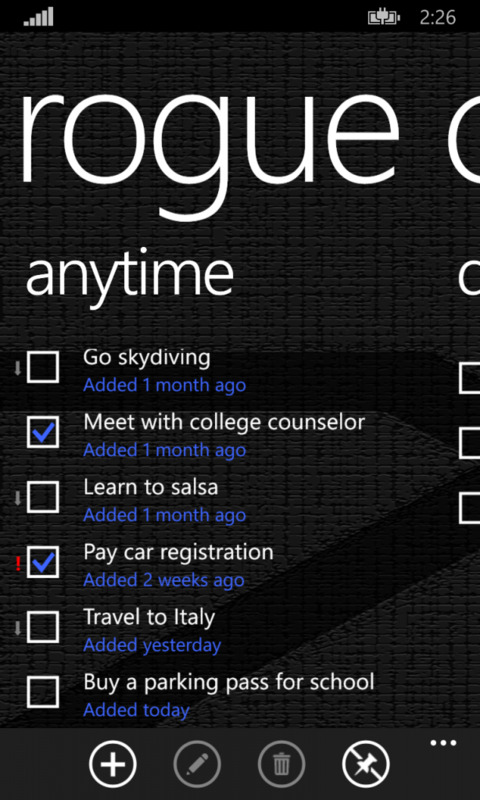 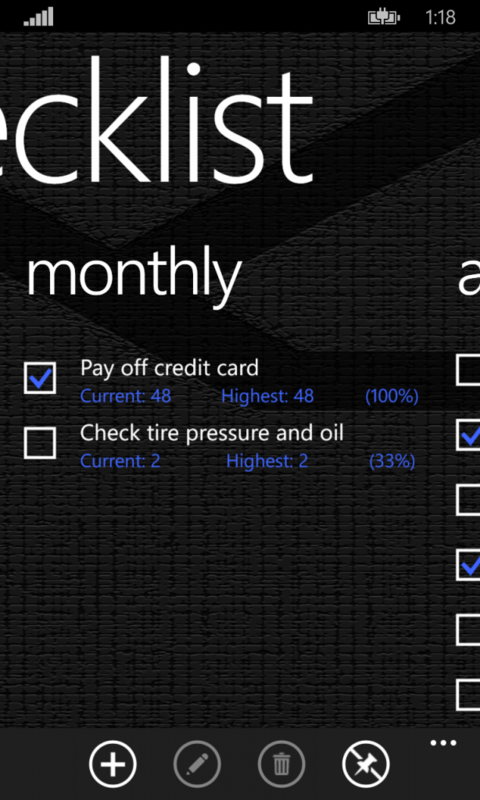 Rogue Checklist will help organize your tasks and drive you to do more!